Bijou - A gem of a little salon in Skaneateles: Matter of trust update.. I just wanted to give everyone a little update that came to me from Lisa Gautier, the mastermind behind the Matter of trust organization. A lot of clients have been asking about the status of all the hair and what BP was doing, I thought this was great news and felt inclined to share it! Another example of 'the squeeky wheel getting the oil'...haha, what a pun and it was intended! 1) BP will be posting a press release with information on how they will be deploying the boom and natural fibers to soak up oil. 2) Laundry lint - a lot of you have suggested recycling laundry lint, especially from hotels. This might work for furniture stuffing and we look forward to researching this more after the Gulf response. 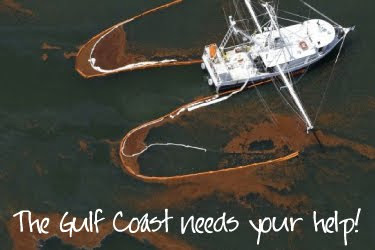 For oil spill booms, lint may contain polyester and we only want natural fiber stuffing. Also, lint will disintegrate into tiny pieces and come out of the nylon mesh. 3) Every 12pm Noon PST, we are sending out addresses for the 19 Temporarily Donated Warehouses in the Gulf. Please don't ship to these addresses after June 10, 2010. If there is more need for boom after all these packages are received, it will go to other warehouses. If you have already contacted us to request an address, we are replying to each of you individually as well because our bulk emails may be going to your spam folders. We hope you will all hear from us over the next few days. Please don't resend any address requests to us before May 24th, as it will double the work for our volunteers and we need our volunteers happy! Thank you all so very much! YOU ALL DID IT! YOU MOBILIZED AN INTERNATIONAL RECYCLING MOVEMENT FOR THE ENVIRONMENT IN UNDER 3 WEEKS!